Grow baby leaves all year round on your windowsill to add flavour and colour to any meal. 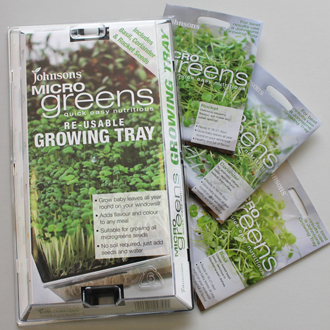 Suitable for growing all microgreens seeds. No soil required, just add seeds and water. Kit contains high quality, re-usable tray and three packets of Microgreens seeds - Basil, Coriander and Rocket.